Our vision is of a world where well-led choral singing enriches everyone's lives and where abcd enables every leader of choral singing in the UK easily to access appropriate support for their development. The Association of British Choral Directors (abcd) is the only UK organisation which is devoted entirely to supporting those leading choral music, both amateur and professional. We are committed to promoting, improving and maintaining opportunities for the professional development of all those leading singing of any kind, whether in the classroom or in the community. Our 700+ members represent nearly 2000 choral groups and include teachers, composers, singers and students, leading singing of all kinds. We run courses and workshops, which cater for leaders of all kinds of singing, age groups and experience using a network of the best choral leadership trainers in the country. Our choral conducting courses run from beginner to advanced levels. Our regional committees put on a wide range of events, ranging from singing and repertoire days to more social occasions, all of which also provide opportunities to network, compare experience, and seek advice from others working in the same field. This all comes together at the Annual Convention, a unique event in the UK, which takes place in a different regional centre each year and attracts delegates from all parts of the choral spectrum. 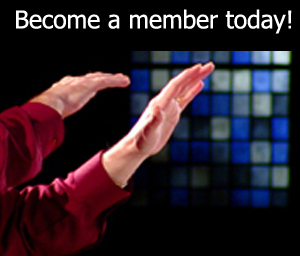 Members have access to the The Podium, the members' section of our website, which includes access to the abcd digital version of Choir and Organ, and to Mastersinger Online, an exclusive growing library of articles covering repertoire, choir and composer profiles, technique and more. So, whether you've found yourself unexpectedly in charge of leading singing in your school, or you're an experienced choral leader, abcd is the ideal organisation to help you get the most from your conducting. abcd is busy, active organisation, but we are also a charity, and we work hard to make membership and all our events as affordable as possible. We exist without any core funding. Most of our revenue comes from our members' subscriptions, project funding from Trusts and Foundations, and small surpluses made on our courses and events. This can sometimes make the finances of the charity quite a challenge and in order to continue to grow and to fulfil our ambitions, we need your help. Any donation, however large or small, makes a difference. Click here to download our latest Five Year Plan, Leading the Chorus. co-operation and liaison with other relevant regional, national and international organisations with aims and objectives complementary to those of the Association.